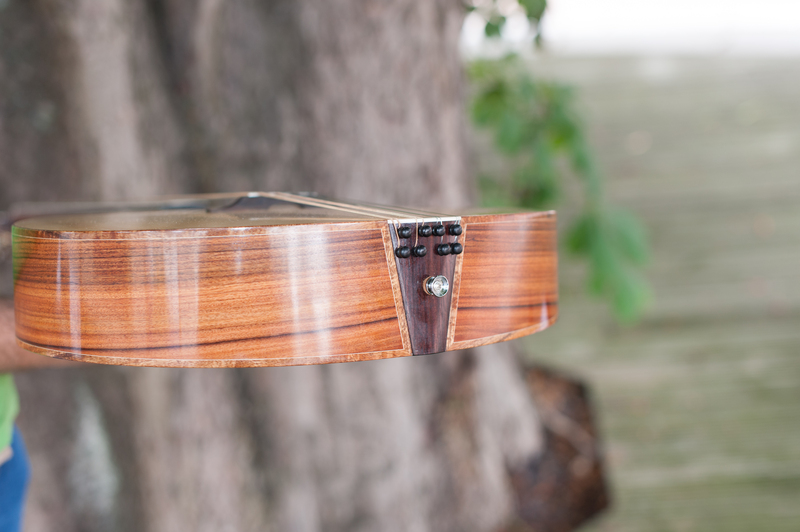 Sometimes I also build instruments outside my usual models. 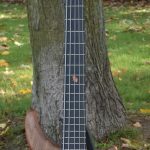 I made this electric bass named “Alfama” for my friend Pablo Dago. 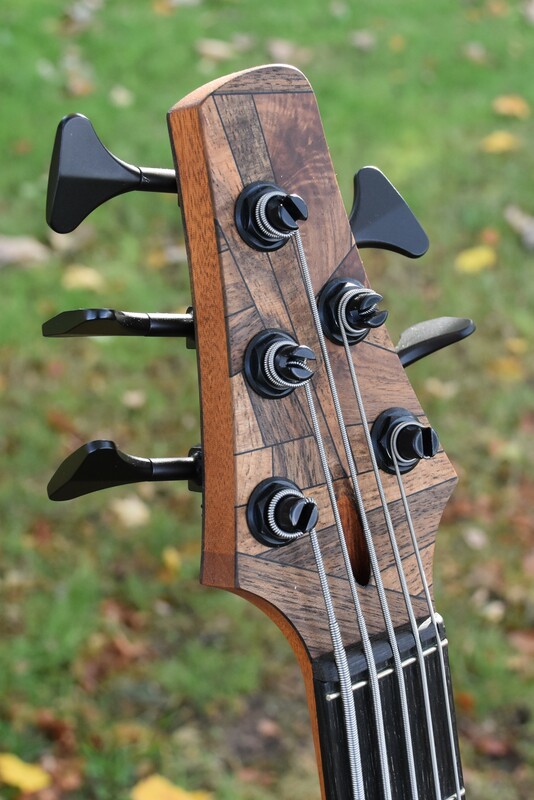 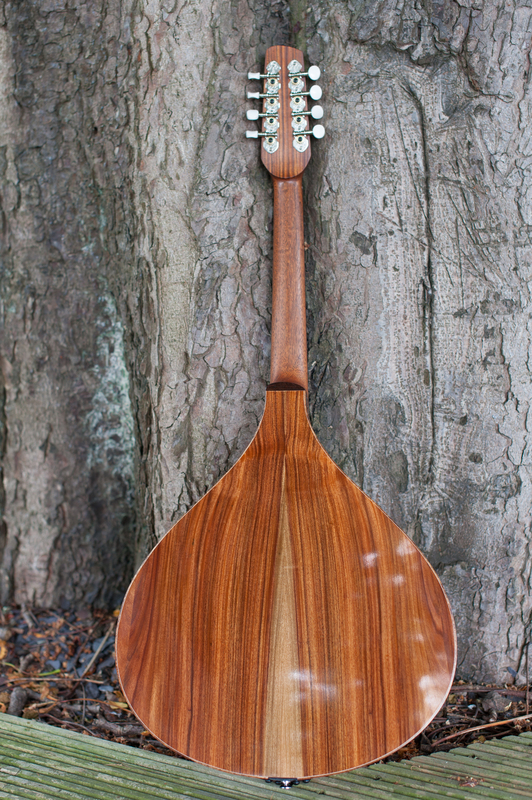 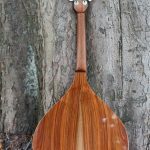 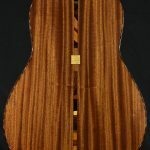 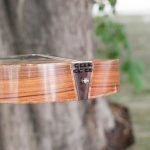 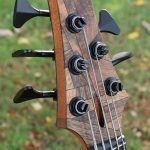 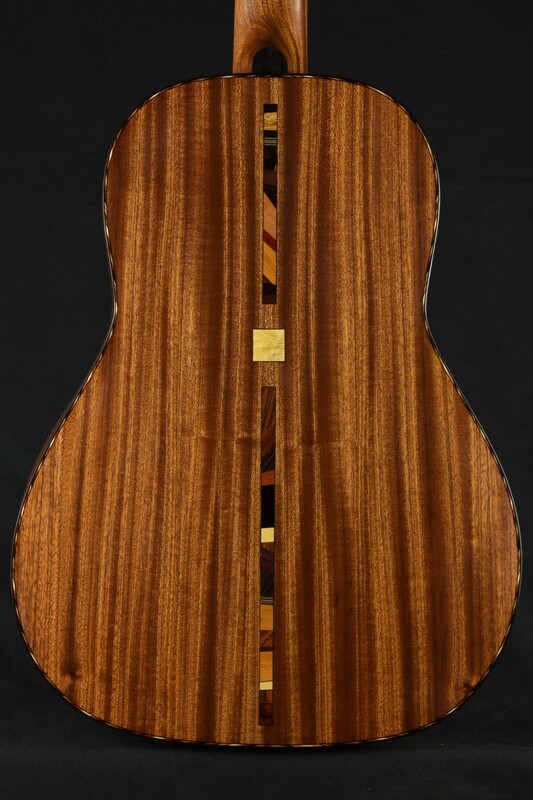 The body and neck are Honduran mahogany, the top, headplate and cavity cover are walnut and the fingerboard and knobs are bog oak. 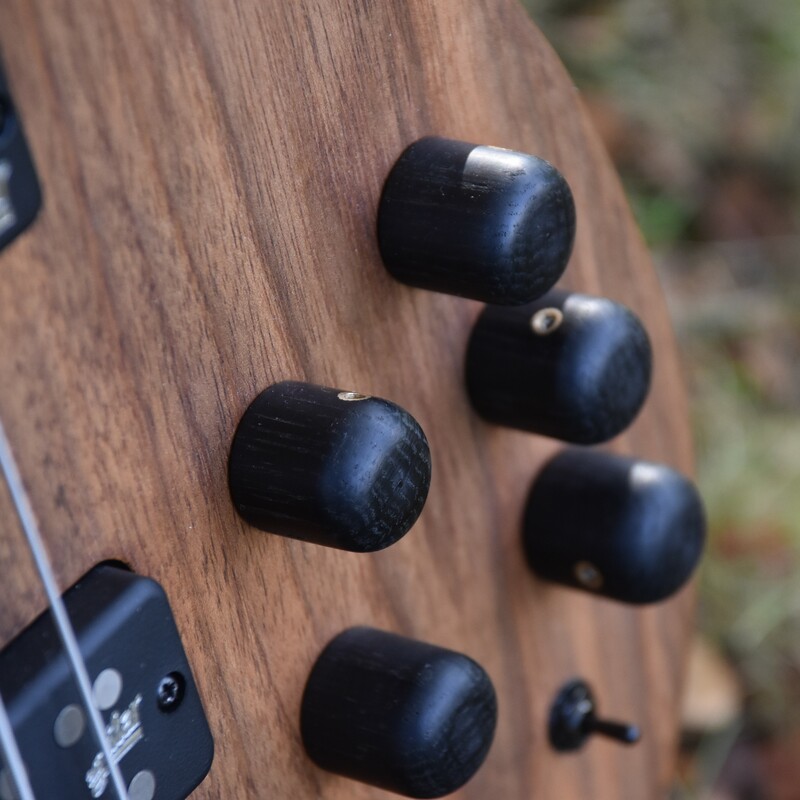 Aguilar 5SD-D2 pickups with Aguilar OBP-3 preamp. 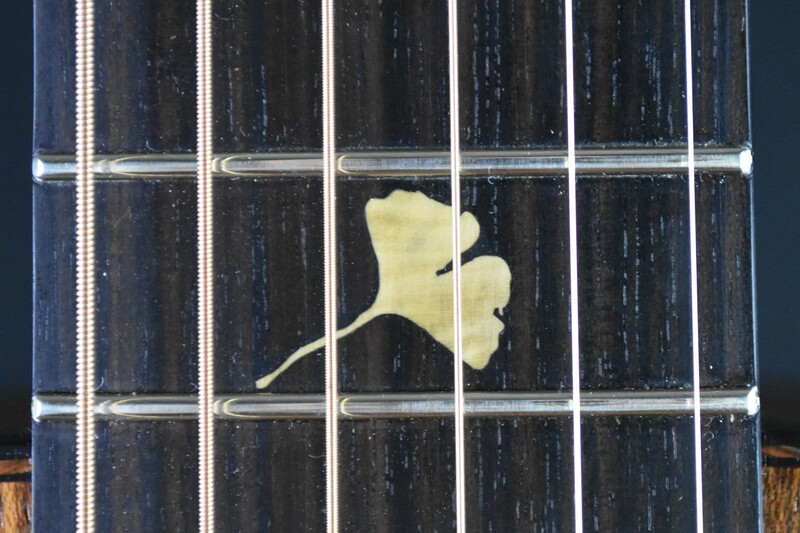 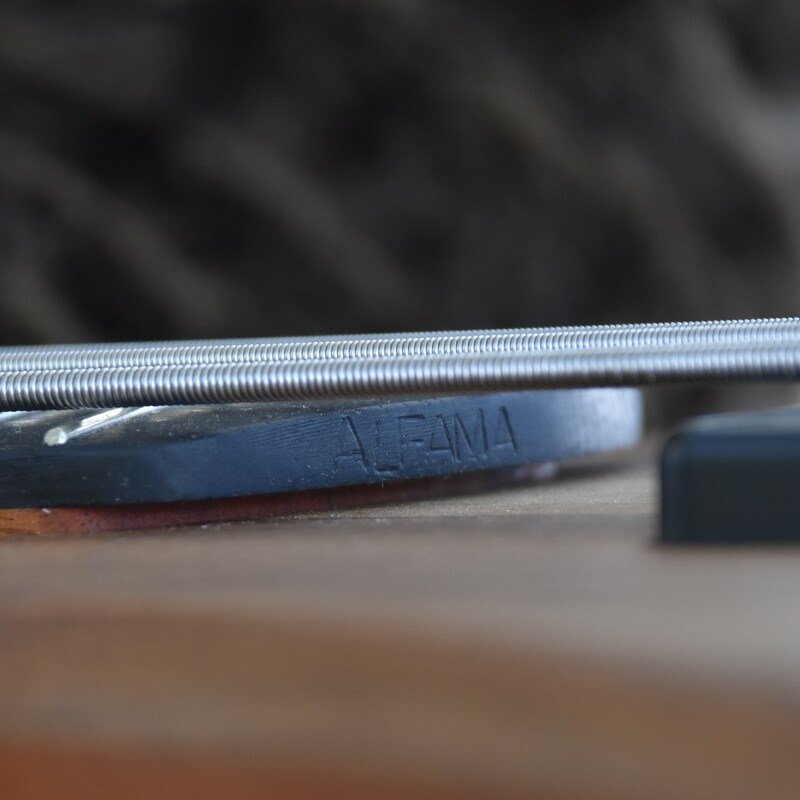 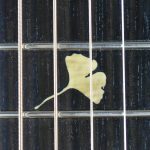 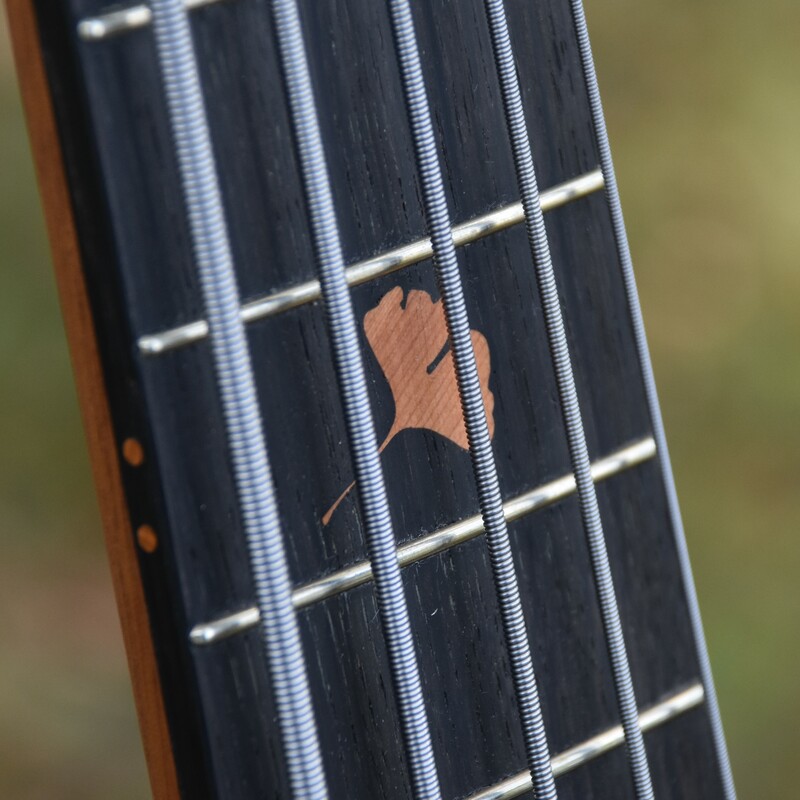 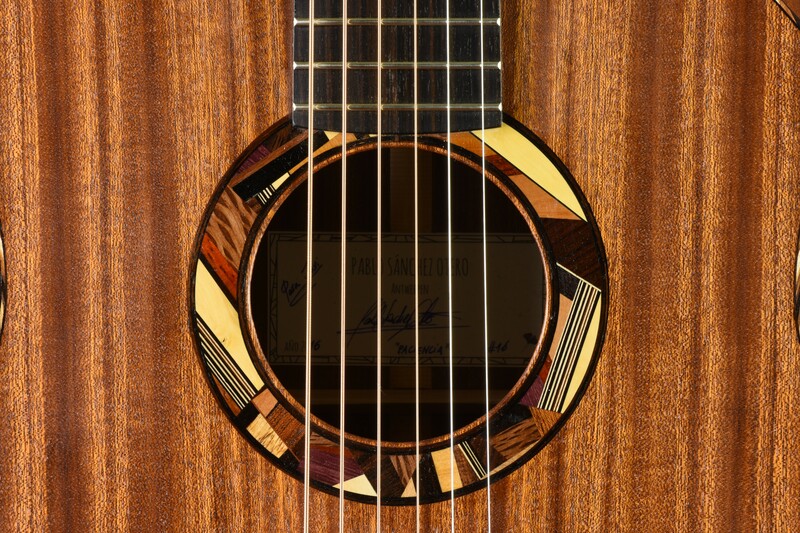 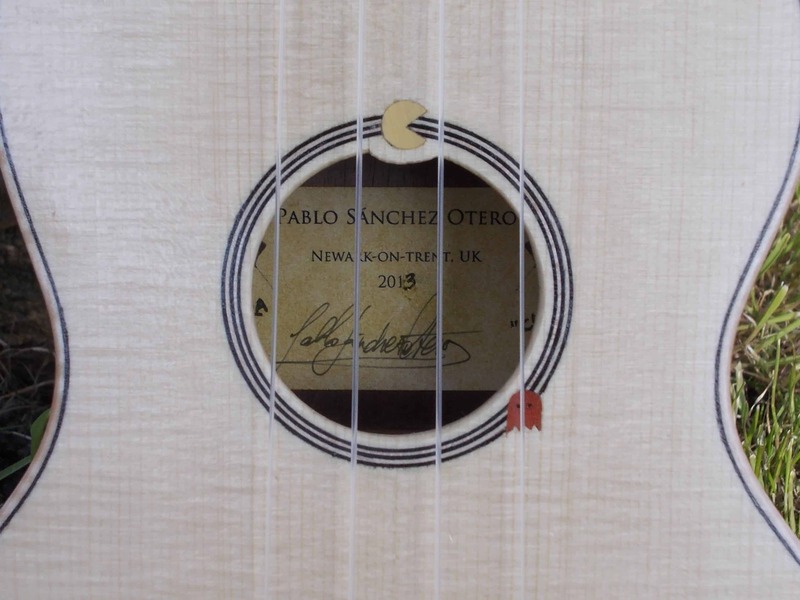 The fingerboard side dots and inlay are made with a special wood: yew from the garden of Pablo’s grandfather. 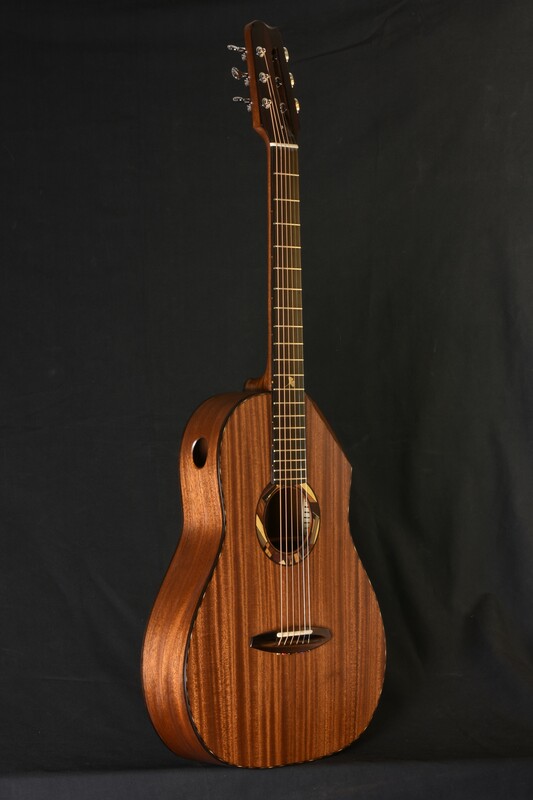 I’ve built this small steel string guitar named “Paciencia” for my friend and great guitar player Javi Sánchez. 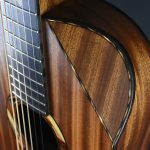 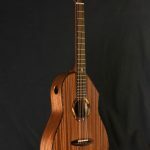 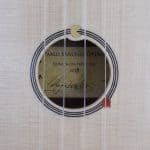 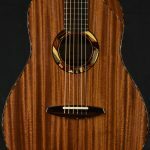 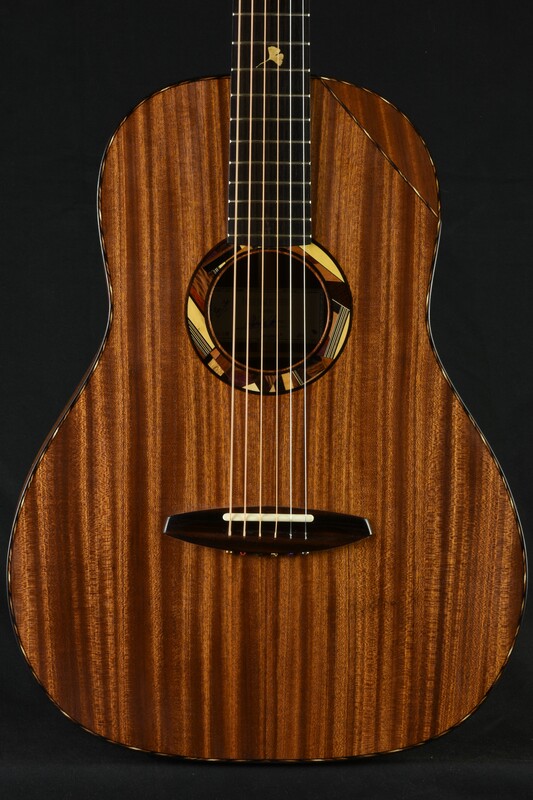 She features reclaimed sapele soundboard, back, sides and neck (from an old beam that stood for 50 years in a garage in the UK); Makassar ebony fingerboard, bridge, headplates and bindings; multi-wood rosette and inlays; Galician boxwood for the 12th fret inlay. 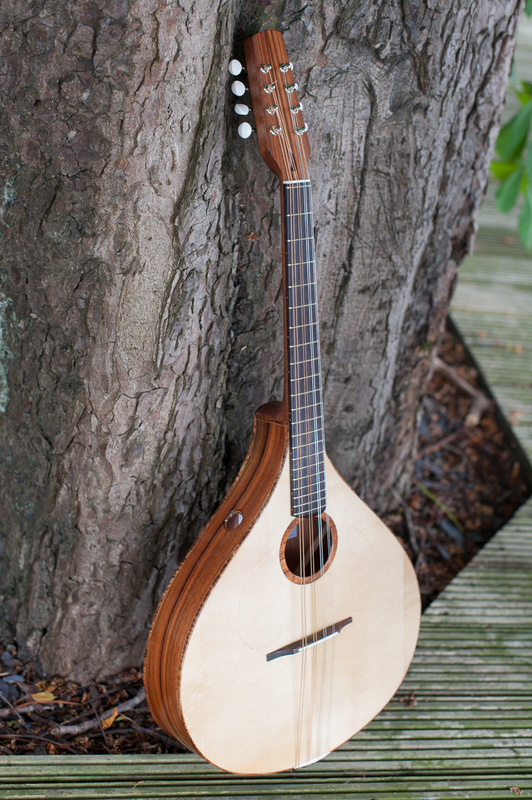 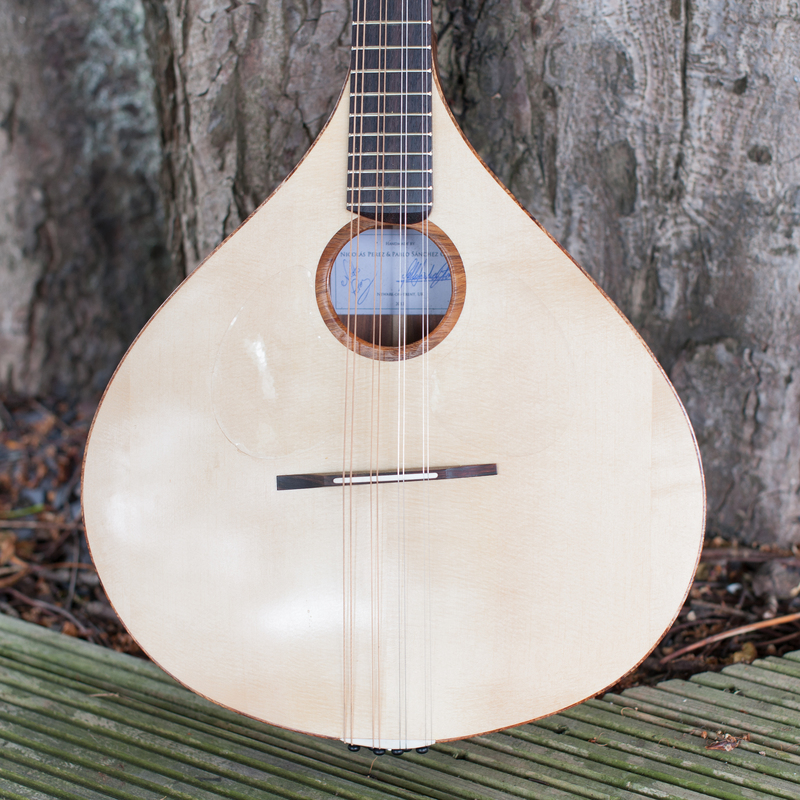 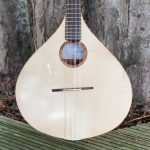 In 2013 I made these bouzouki and mandola with my friend Nick Perez in Newark. 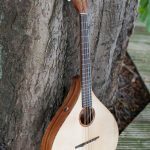 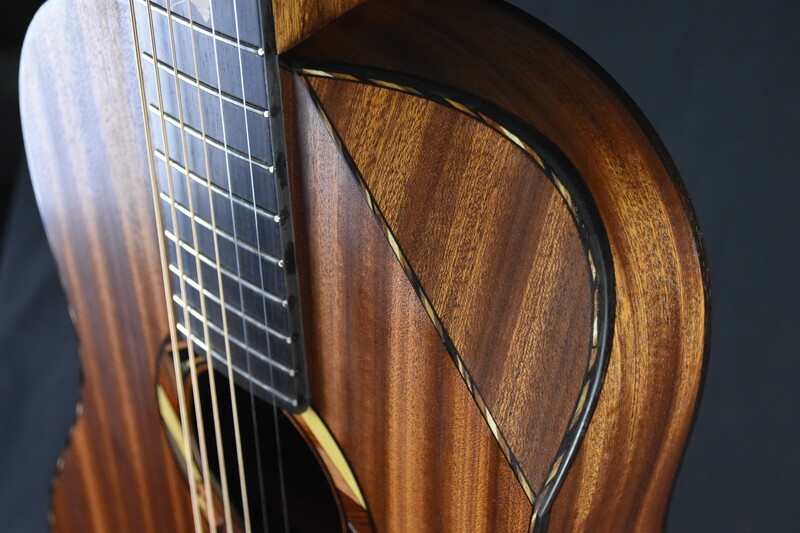 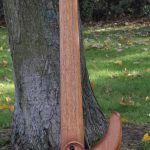 Both instruments feature Santos rosewood back, sides and headplates, european spruce soundboard, reclaimed mahogany neck (from an old wardrobe), rosewood fingerboard, bridge and tailpiece and koa bindings and rosette. 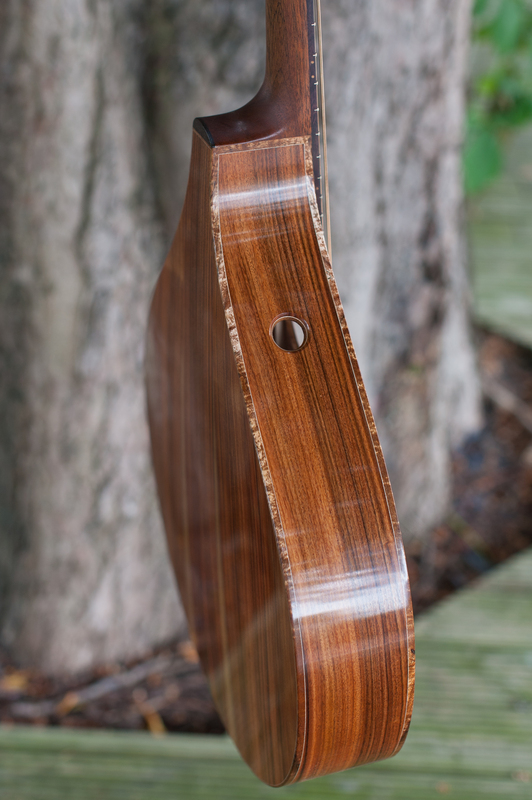 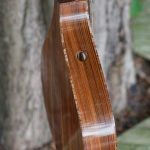 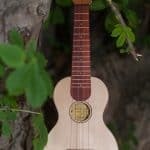 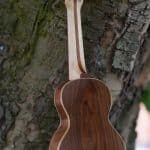 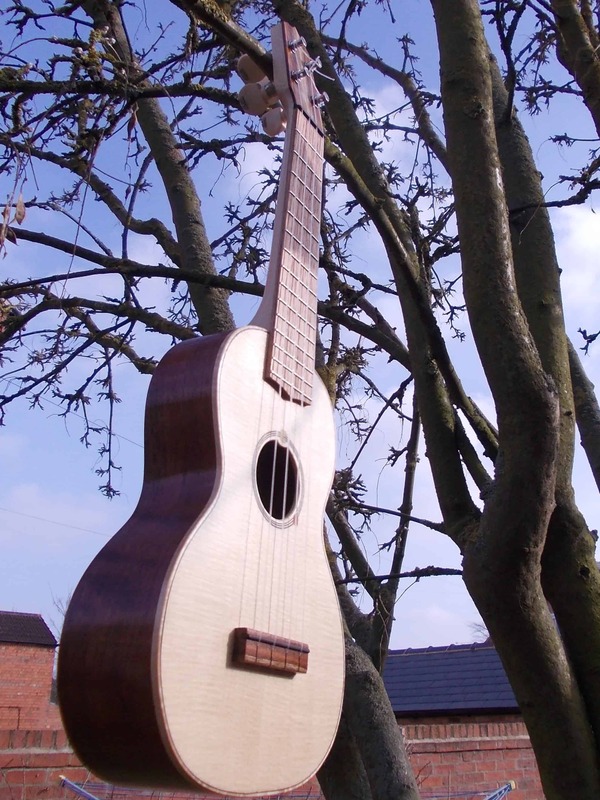 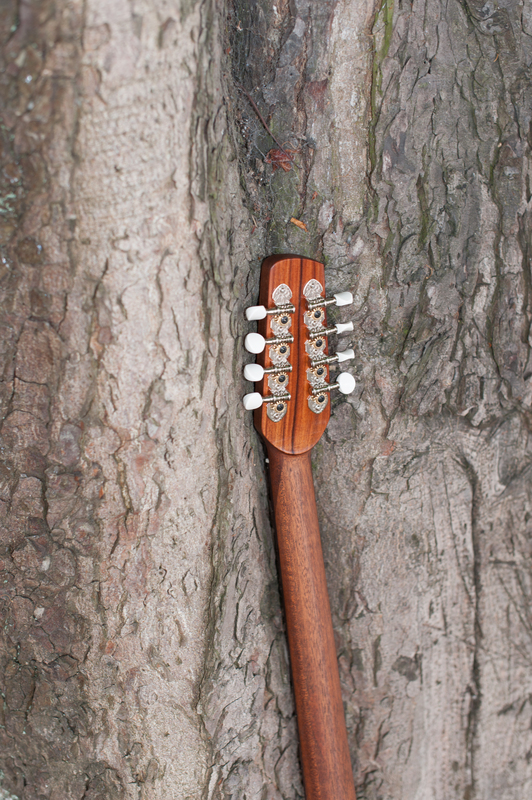 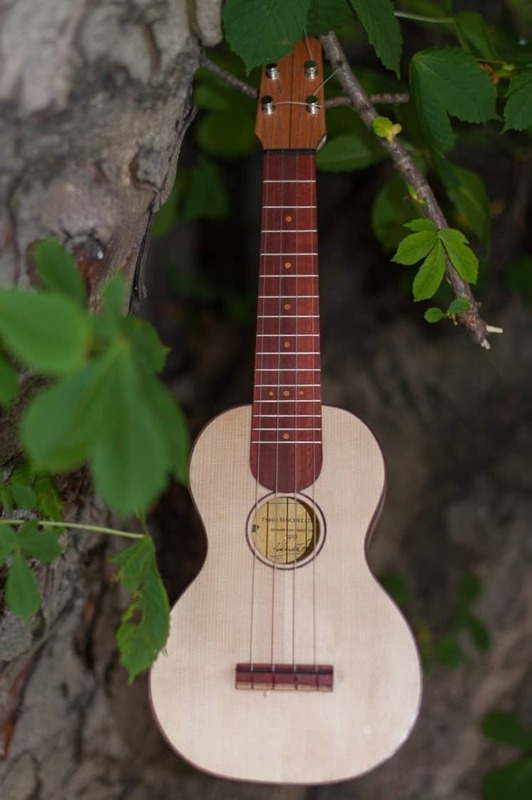 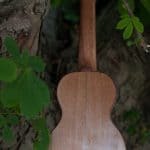 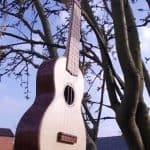 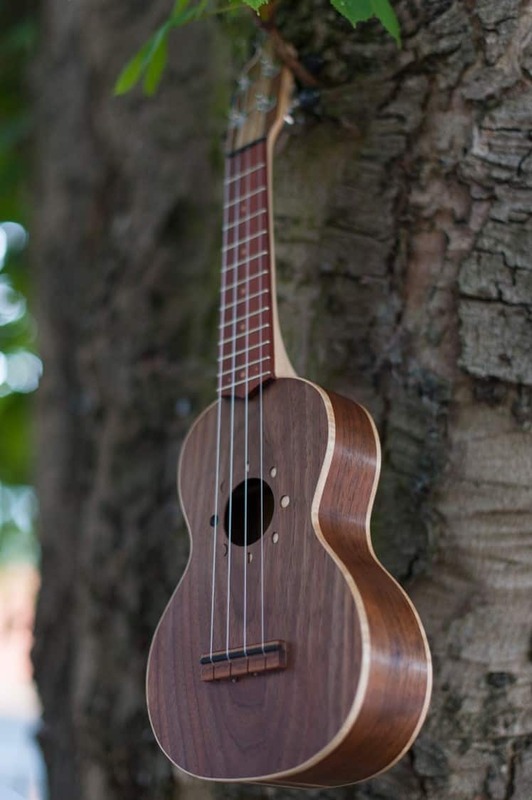 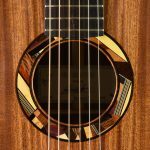 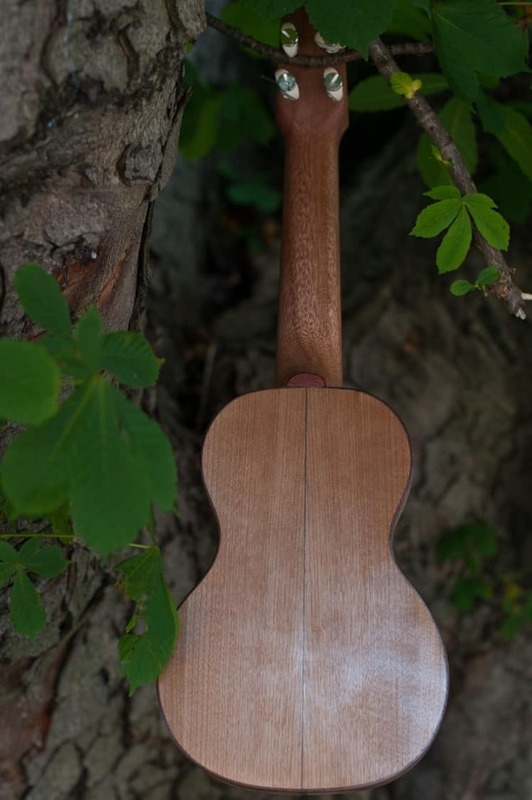 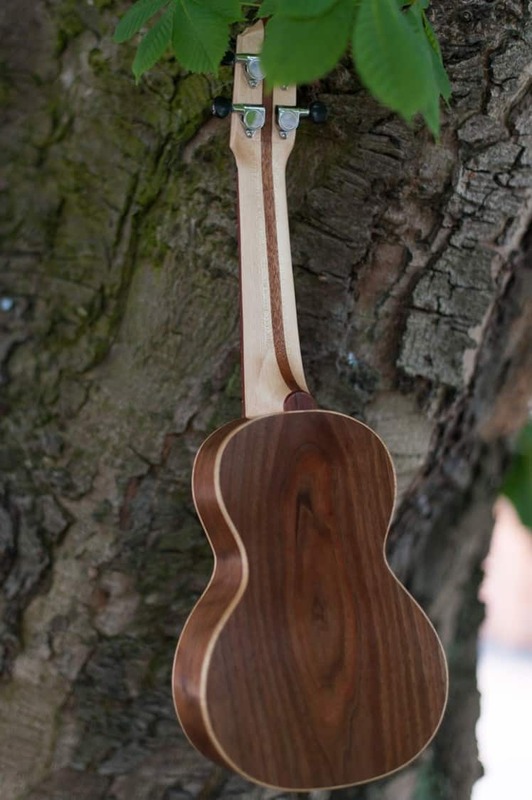 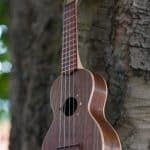 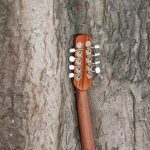 These three ukuleles are made in their majority out of reclaimed wood from old pianos.